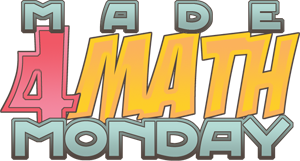 This was a really fun project (for me, at least). 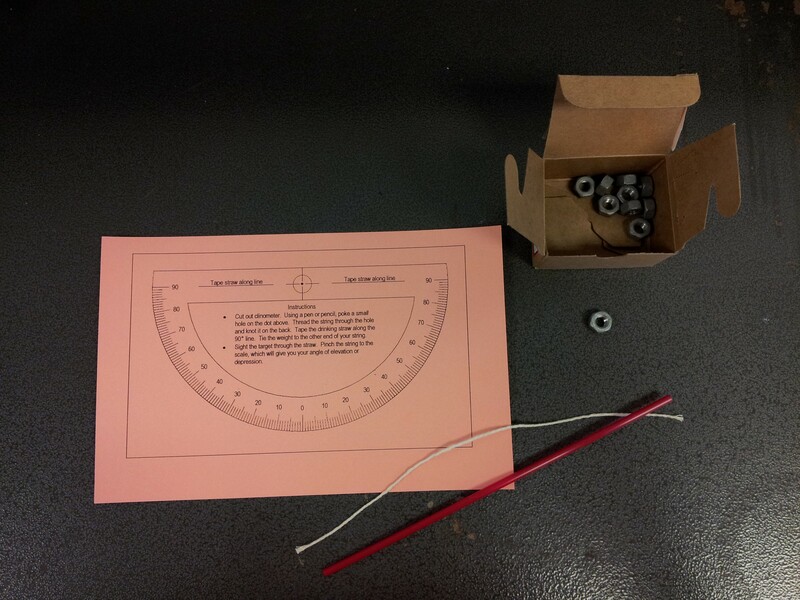 I’m actually pretty proud of the clinometer that I ended up making. 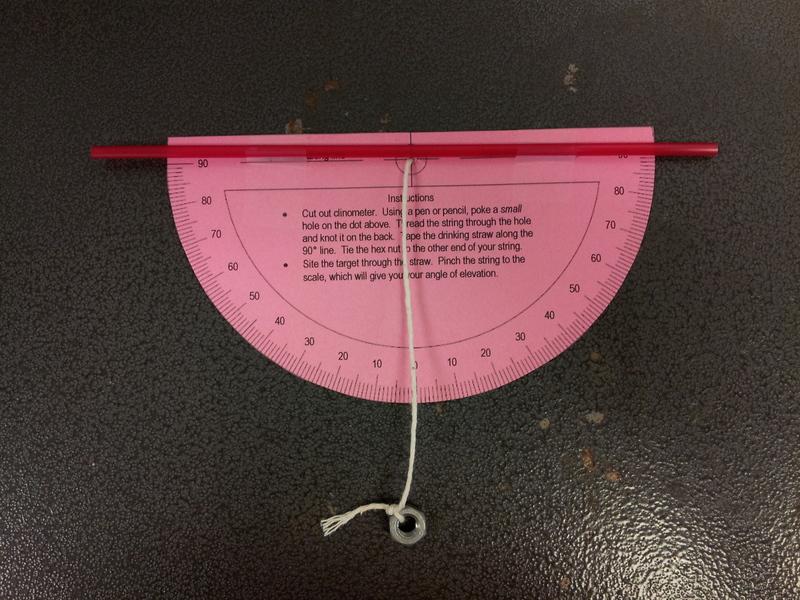 I took a basic protractor graphic and added the degrees and instructions. I bought a bunch of hex nuts to use as weights. I had enough that if students wanted to keep their clinometers, they could. Here’s the hall pass I made. I suggest making them BIG (3 to a page) and brightly-colored. I thought this was a really good project. As with the mirror project, I think I’m going to have them just measure in centimeters/meters. I also want to try to find another angle of depression location. 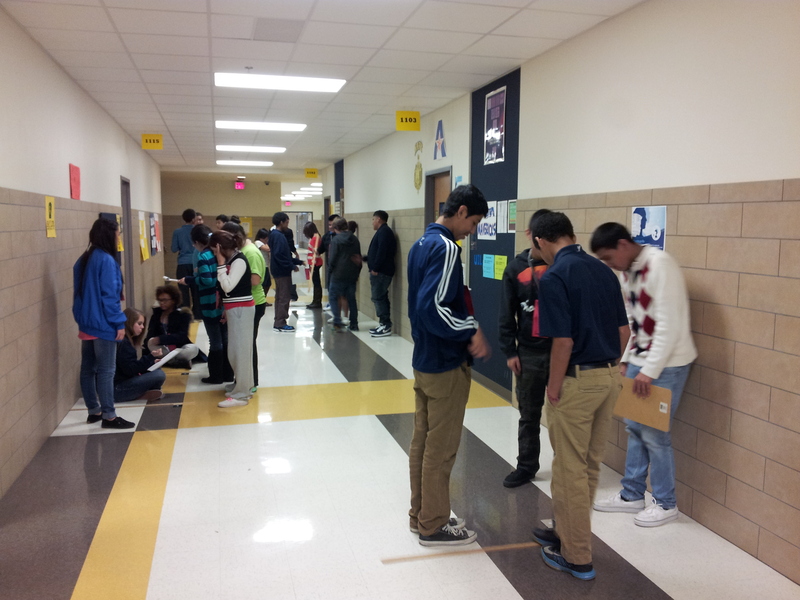 As I said in a previous post, I decided to take the meaning of “geometry” (measuring the earth) to heart by having several projects where we left the classroom and measured stuff. The first one I did was at the beginning of February where we used mirrors and meter/yard sticks. Michael’s has some pretty good square mirrors that I was able to pick up pretty cheaply. I also put a reinforcement on each mirror to give them a point to measure from/to. Generally, this was a very successful project. I started everyone off at the same place, which was just outside my room. As groups finished this, I could send them along to the next station, which was just down the hall. 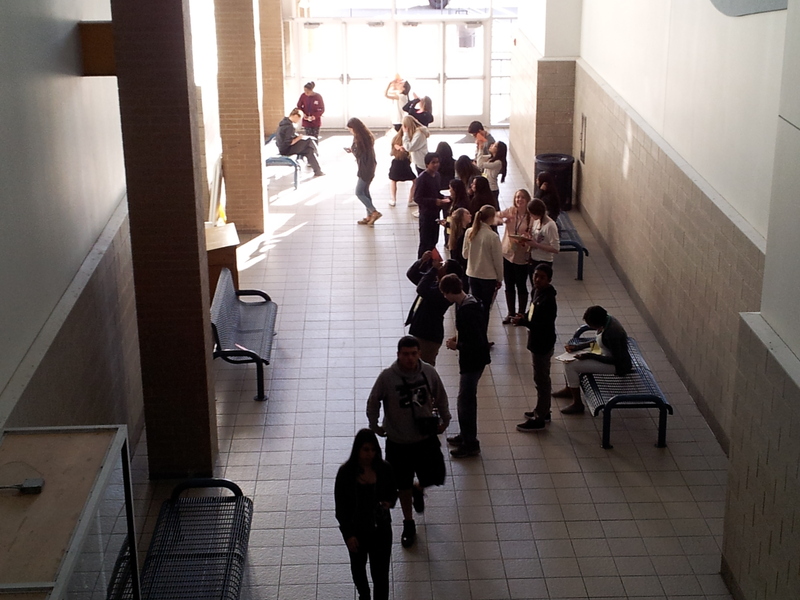 As far as I know (**g**), I didn’t have any students go AWOL on me. When I do this again, I think I’m going to have to bite the bullet and just measure in centimeters. As much as I want them to get the practice of measuring in inches and feet and using fractions, it’s not worth the hassle for what I’m trying to achieve. I may also add a direct measurement of the first station, so they can check their work. I just thought of this as I was reading some recaps of TMC13: During “My Favorites”, Chris Lusto offered the idea of having students work out the definition of a circle. What just struck me was one of the activities challenged the students to come up with an example that fit a classmate’s definition but was not a circle. COUNTEREXAMPLE!! Counterexamples (especially geometric counterexamples) are so tricky for students to get. Here’s a built-in example of why they’re a big deal. Love! I was inspired by Cindy’s QR Code Scavenger Hunt ever since I first read it and realized I could use the iPads that I didn’t know what to do with. I really liked her idea of having the QR codes output plain text, but I quickly realized that this wouldn’t work for a geometry activity. The next step in my madness was the inspiration of using locker numbers to handle the 75! locations I needed. This meant I had to wander around the whole school figuring out which locker numbers were where. Once I thought of the lockers, I thought it would be cool if, on the locker with the correct answer, the students could open the locker and find a token to bring back. Time to contact the assistant principal in charge of the lockers to find out combinations to 15 lockers. She ended up just letting me borrow the notebook — yay! Now the work began. I actually used the random number generator on my TI-84 to randomize locker locations (I assigned each main block of lockers a number), and then created a spreadsheet for the question and answer choices locker numbers. I used my trial version of Kuta to create the 15 questions. 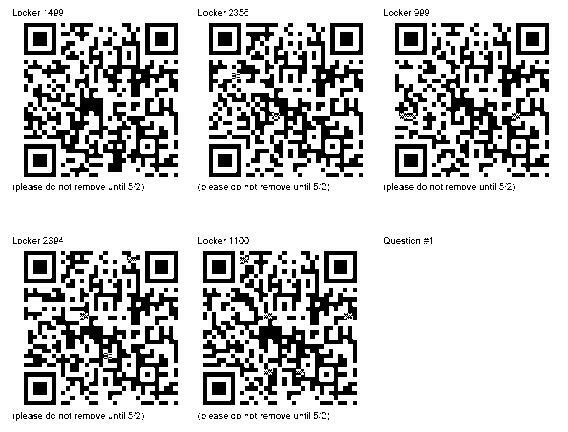 I then scanned the document (since it won’t let you save as a PDF on the trial version) and then created blog entries for each question, incorrect answer, and correct answer (including the combination to the locker). This gave me URLs that I could paste into the QR generator, which I then copied and pasted into a Word document (one page per question). The afternoon before the hunt, I went around the building with my QR codes and my tokens. 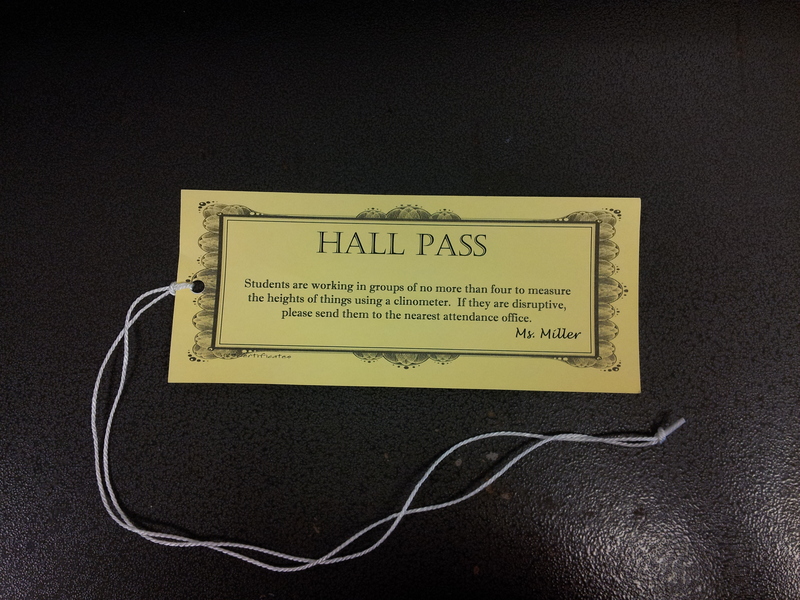 Copying Cindy, I also made Hall Passes for each of my students, as well as worksheets for them to use to show their work (no credit for the token without the work). The kids got into the idea of the scavenger hunt, and once they figured out the locker thing, they all worked pretty well (I put them in teams of two). My codes created a lot of buzz around the school. I had at least three non-math teachers come up to me and ask me about my scavenger hunt — they had scanned the QR codes and saw my name. I was especially pleased that my principal found a group that was working on a problem, and they told him that they really liked the activity. Considering I had 75 codes around a building with 2800 students wandering around, I only found 4 codes that were torn down. Even more important, none of the lockers with tokens were messed with. 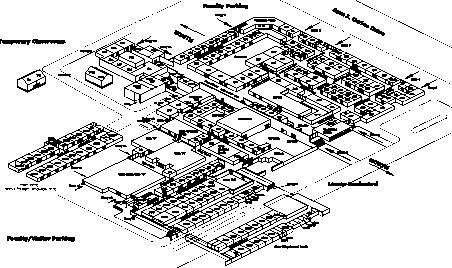 It was also useful for my students (who are all sophomores) to see parts of the building they may not have seen before, since I used every bank of lockers in the school. Students could use their phones as well as the iPads, which made a nice division of labor. Out of the 15 problems I created, the most any team completed was 5. I think next year, assuming I do this again, I will group the questions and answers closer together so students have time to answer more questions. In principle, it makes sense to spread things out so students are less likely to just scan codes, but as big as our school is, it just may not be practical. I had to double-check all of the codes on the second day because of other students’ messing with my codes. Yes, it was only 4, but I still had to check all 75. I had forgotten until the morning of the hunt, but one of my girls had torn ligaments in her knee. Oops! She managed to make about half of the problems, but then she had to sit down. I was exhausted! One evening running around the school preparing things, two days running around the school monitoring students, and then going around taking down all of the codes and retrieving all of the tokens. Overall, however, the good things definitely outweighed the bad. I think that now that I have the process in place, I will probably do this again next year. I wonder if I can put something like this together for “Talk Like A Pirate Day” (Sept. 19th). 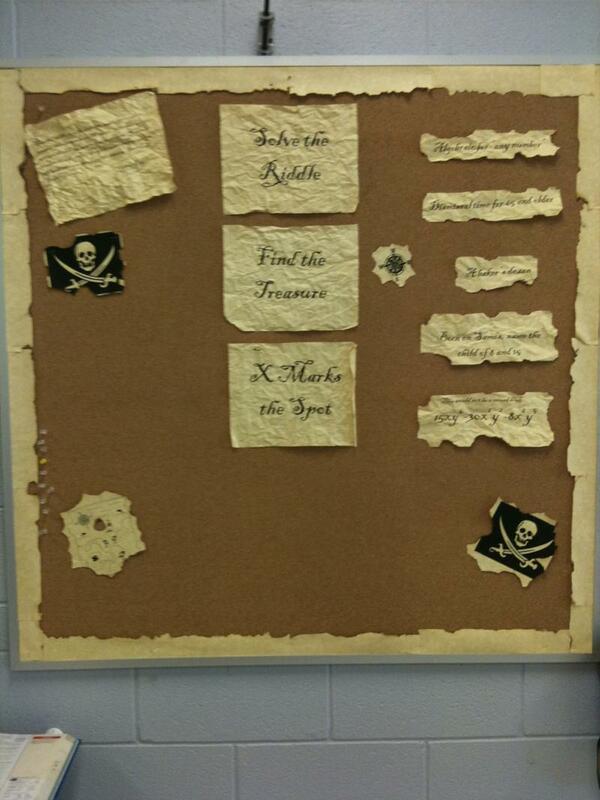 Cool scavenger hunt idea–especially using a locker and its combination.